Floral Print Evening Dress | Sung Boutique L.A.
A chiffon floral print overlay wit a pleated sweetheart bodice. 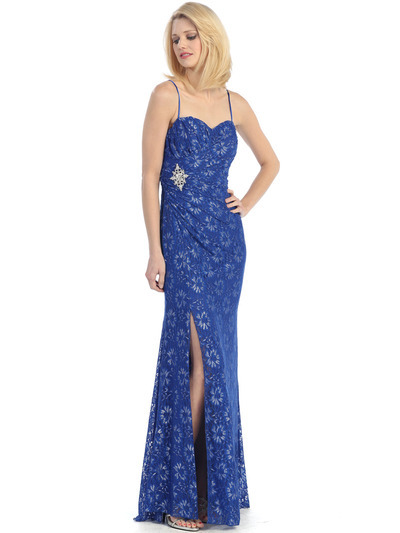 This elegant evening dress features ruching on the waist with a dazzling pin adorning the side. 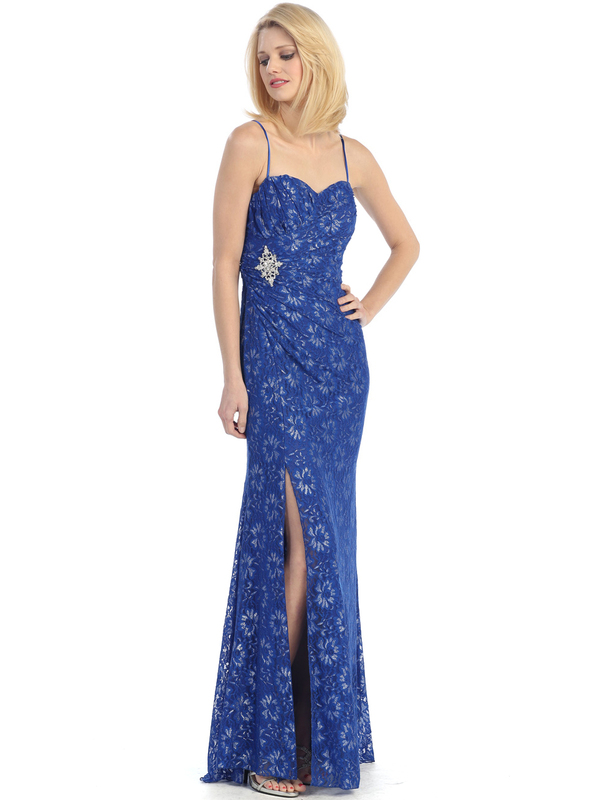 The look is completed with a floor length skirt and slit. -Approx. 62 inches from shoulder to front hem. -Approx. 65 inches from shoulder to back hem.